House lawmakers voted Tuesday to legalize medically assisted death in Hawaii after an emotional floor debate in which some lawmakers recalled family members who suffered terribly before they died, and another told his colleagues the bill they were considering “is against God’s law.” Star-Advertiser. After a round of emotional floor speeches, the Hawaii House voted 39-12 Tuesday in favor of legalizing medical aid in dying for terminally ill adults. Civil Beat. A bill that would allow terminally ill patients to obtain medical assistance with ending their lives advanced Tuesday at the state Capitol in Honolulu. Tribune-Herald. After a robust debate Tuesday, the full House approved a controversial medical aid-in-dying measure, sending the bill to the Senate. Hawaii News Now. Bill to allow terminally ill patients to end lives passes House, moves to Senate. KITV. Tighter Gun Restrictions Among Hundreds Of Bills Moving Ahead. As a deadline fast approaches, scores of measures were sent from one chamber to the other Tuesday at the Capitol. Civil Beat. A bill that would shorten the time a disqualified gun owner can surrender weapons to police was approved by the full Senate on Tuesday. Hawaii News Now. The State Legislature is nearing the halfway point when bills must clear the first hurdle in that process. Hawaii Public Radio. A bill that would make it a civil violation to falsely present an animal as a service animal passed the state Senate on Tuesday and now moves to the House. Tribune-Herald. Dogs in service vests are an increasingly common sight in public spaces. But it may surprise you to learn that there is little legal regulation over the training and certification of service dogs and emotional support animals. Hawaii Public Radio. Bills providing funding to combat rat lungworm disease and little fire ants are making progress this legislative session. Tribune-Herald. The House of Representatives passed 128 bills on third reading today, moving them to the Senate for its consideration. Press release. Hawaii State Senators today voted to pass 371 bills on third reading. 49 bills were passed earlier on third reading for a total of 420 measures that are now transmitted to the House for consideration. Press Release. The former executive officer at the Hawaii Emergency Management Agency is is questioning the state's investigations into the Jan. 13 missile alert mistake, particularly why the state's adjutant general has escaped criticism. Hawaii News Now. Hawaiian Airlines announced Tuesday that it will purchase 10 Boeing Dreamliner aircraft in lieu of its original plan to purchase planes from Airbus Industries. Pacific Business News. Goat Hunters Say State’s Aerial Shooting Threatens A Traditional Food Source. Concerns over damage to vegetation has the state taking flight to cull the goat population in the Waianae mountains. Civil Beat. As housing prices continue to soar, would-be homebuyers on Oahu are turning to a more affordable alternative: Condos. Hawaii News Now. February lived up to its tradition as a slow month for home sales on Oahu, producing a slight decrease in single-family home transactions, but other parts of Hawaii’s largest housing market achieved modest gains. Star-Advertiser. Unusual shrimp found in mud pool near Kaena Point. KHON2. Hawaii waterman and environmentalist George Downing, a celebrated big-wave pioneer, former Makaha champion and trusted teacher and adviser to generations of surfers, died peacefully in his sleep early Monday morning, his son Keone Downing said. He was 87 years old. Star-Advertiser. Legendary waterman George Downing has died. KHON2. Hawaii Senate Approves Putting Mauna Kea Under New Management. The bill would limit the number of telescopes on the mountaintop and authorize the new manager to renegotiate leases and permits pertaining to the mountain. Civil Beat. 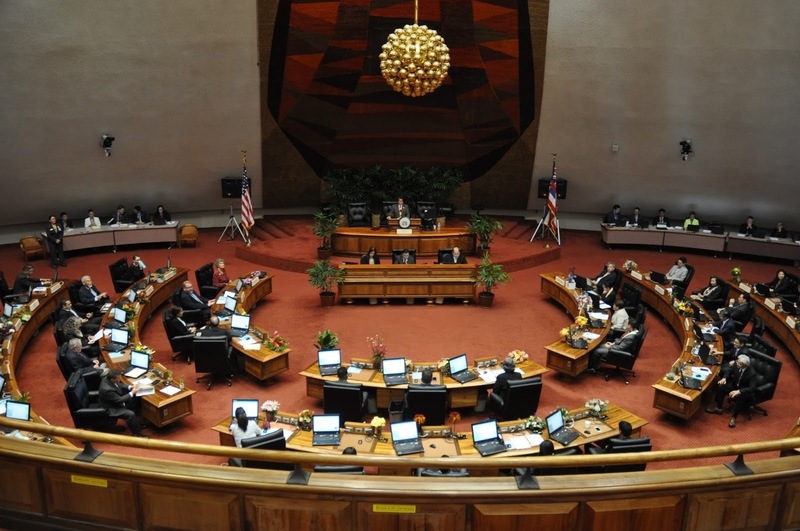 Mauna Kea Management Authority Bill Passes Senate. Big Island Video News. The Kohala Center is moving forward again with plans to limit surf school operations at Kahaluu Bay, but local business owners say they still aren’t satisfied with what the nonprofit has planned for the popular surf spot, taking issues with fundamental components of the proposed management program. West Hawaii Today. Joshua Franklin Alameda is suing the state Department of Education, saying his kids were beaten, harassed and discriminated against by fellow students because he is gay. Hawaii News Now. A 45-year-old Kona man admits that he recorded sexually explicit images of a 15-year-old girl and the teen’s 2-year-old daughter. Star-Advertiser. A volunteer morning cleanup event of the Lā‛ie Wetlands in Kihei is planned from 10 a.m. to 1 p.m. on Saturday, March 10. Maui Now. Nominees for the 2018 Mayor’s Small Business Awards were announced last week with the winners to be honored Friday at an awards dinner in the Waikapu Ballroom of the King Kamehameha Golf Club. Maui News. Barnes & Noble said Tuesday it will open a new temporary store in a former Petco space at the Maui Marketplace in Kahului on Monday, a day after it closes its longtime store on the other side of the island at Lahaina Cannery Mall. Pacific Business News. Wailuanuiahoano resident Debra Kekaualua has announced that she’s running for mayor. Garden Island. Waiopili Stream, which meets the ocean at Mahaulepu Beach on Kauai’s South Side, has been officially dubbed an impaired waterway by the Environmental Protection Agency. Garden Island.